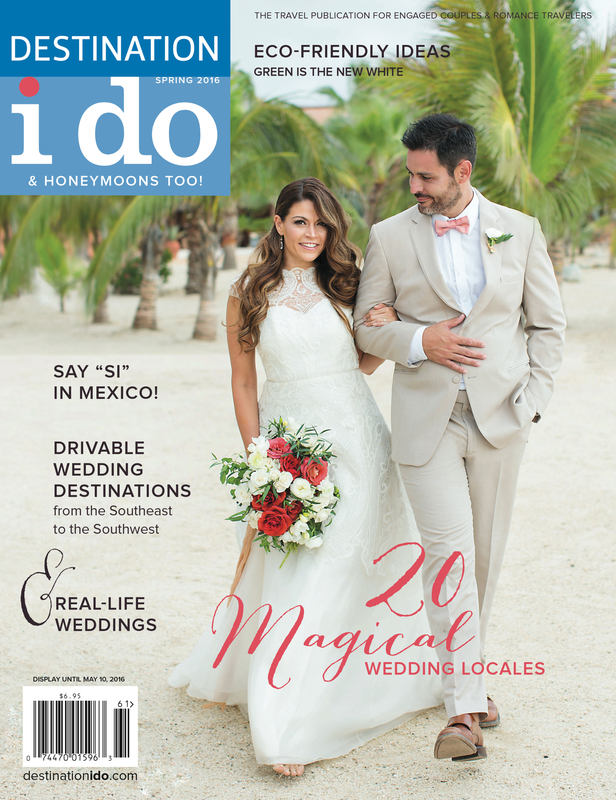 Our Spring 2016 cover features a shot from our Fashion Forward photo shoot, “Mexico: Old World Elegance.” Our bride is beautiful in “The Magnolia Tree” gown by Lela Rose and our groom is wedding-ready in a suit courtesy of Friar Tux Shop. Her hair and makeup were done by The Troublefield Lifestyle and her bouquet was created by Elena Damy. All of this was captured by the talented Sarah Kate Photography on location at Rancho Pescadero resort and the creative direction was executed by Stefanie Miles Events. 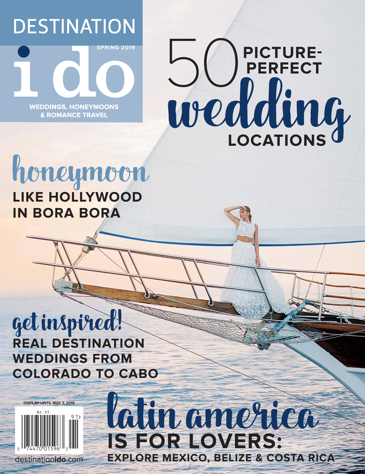 As always, we’ve scoured the globe for the latest and greatest destinations in which to celebrate one of the most important days of your life. If you’re looking for fashion and wedding inspiration beyond the beaches of Mexico, we also have two beautiful Fashion Forward photo shoots that highlight sunset hues in California and nature’s natural beauty in Yellowstone National Park. And, of course, there are Real-Life Weddings and much more!